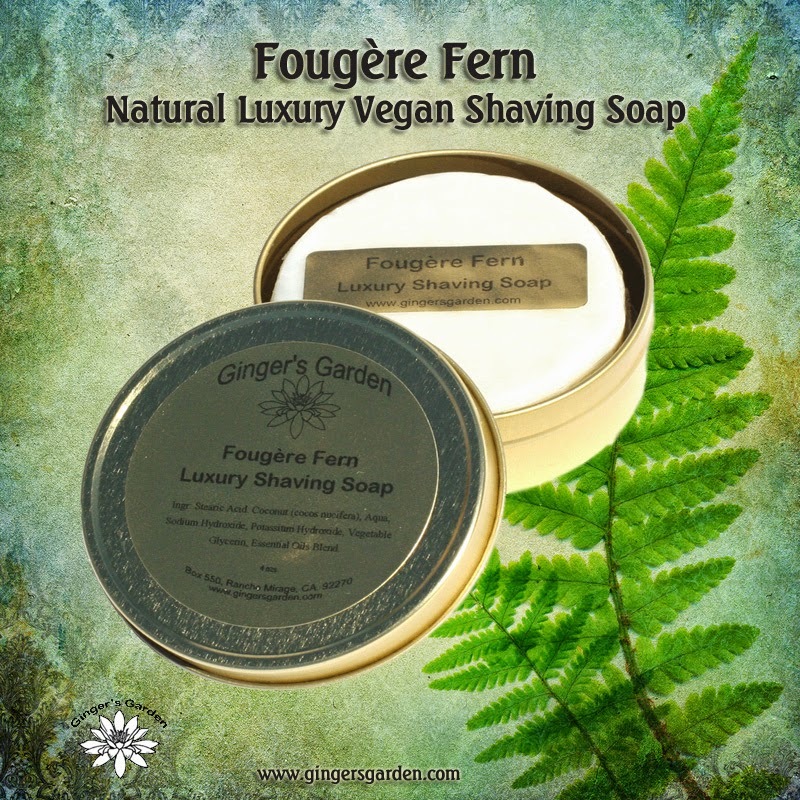 Fougère Fern Best Natural Vegan Shaving Soap is a luxury wet shave soap made with aromatherapy essential oils. Like any fine Fougère fragrance, this natural blend contains Lavender for its herbal note, Bergamot which adds a crisp citrus note and brightens the Lavender, Patchouli in a small amount to add depth, Vetiver for a long lasting deep note and Rose Geranium which adds a very soft floral note. It also contains Tonka Bean, Oakmoss, a touch of Jasmine and Rose for a perfect balance. Fougère is a classical masculine scent that’s fresh and green with some earthy and floral notes.